The data privacy bug is biting practically everyone out there. Though the major trigger happened to be the Facebook-Cambridge Analytica episode, the GDPR (General Data Protection Regulation) implementation in Europe is another needle that has resulted in companies springing into action. Each organization that has operations throughout the world and has to honor the laws in each region is hard-pressed to act decisively in the matter of securing the data that gets collected within its domain. Apple has its App Store where developers upload their applications. Apple has a strict policy in place and it is already quite difficult to get an app cleared for inclusion in the store. The new rule will be implemented October 3. This message has been conveyed by Apple through the App Store Connect channel, which the company uses to remain in touch with all its developers. The normal expectation would be to state that the apps that have failed to demonstrate that they have included the policy as per Apple’s instruction would be removed from the App Store. But there is no such declaration yet. Possibly, Apple will wait until the date it has stipulated, that is October 3, and then take a suitable view regarding this. All freshly submitted apps will naturally be evaluated based on the prior inclusion of the policy, as mandated. According to people who are in the know, besides the reasons mentioned above, the company had received complaints that some apps might have indulged in collecting data of users without their knowing that such data is being collected. This is a serious breach of privacy, and Apple—which repeatedly states its commitment to user privacy—has taken it in that perspective. This is the reason for binding the app developers also into making public their avowed policy on data they collect. 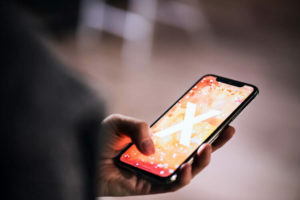 At the next stage, Apple may even scrutinize the wording in the security policies posted by different apps to see if they meet the overall policy guidelines on data privacy that Apple holds as supreme. If there are loopholes, those developers may be advised to modify their policies. These things too could happen after the first deadline passes by. 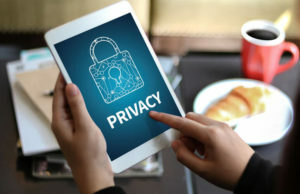 Ever since the European Parliament passed the General Data Protection Regulations (GDPR) Act, and the law officially came into effect back in May, corporate entities have been putting in efforts to ensure no case of data leaks occur on their sites that operate within European Union borders. Many have possibly entered into agreements with their respective service providers on their website’s security aspect. This way, even if anything serious were to happen, the company’s own liability could be limited. But in the case of companies like Apple, with such a vast scale of operations in Europe, an innocuous app can turn into a cause for unnecessary action from the E.U. Without doubt, the Cupertino, California-headquartered tech giant does not want to be anywhere even close to such an embarrassing situation. In the long run, all these augur well for the public at large. The more awareness there is of data protection, the better it is for them and they would feel less wary while sharing their personal information.